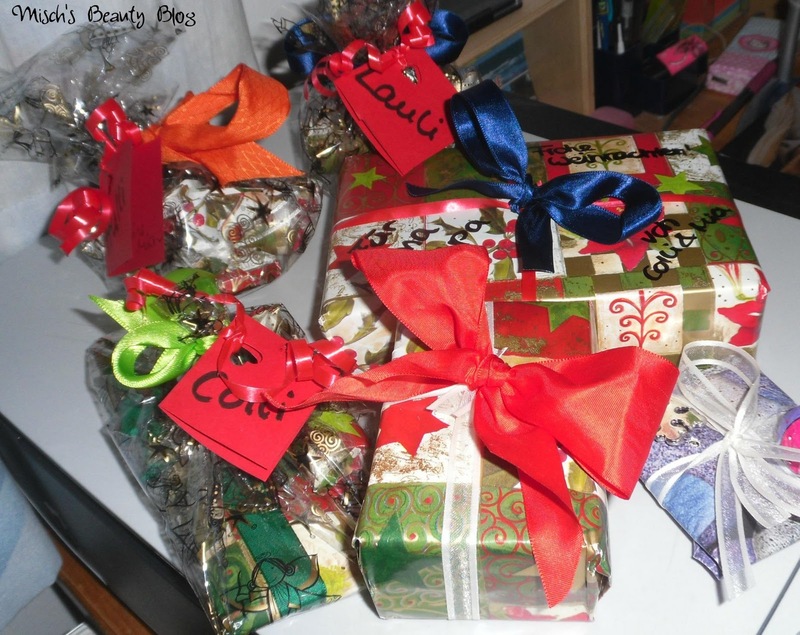 Misch's Beauty Blog: Presents & Christmas Spirit! I love love love wrapping presents, I always want mine to be the prettiest ever, but for that I can't do that well enough :D Still, I love Christmas-themed wrapping paper, matching ribbons and everything :) So here are some impressions of some of the presents I'm giving away this year! Are you looking forward to Christmas as much as I do?